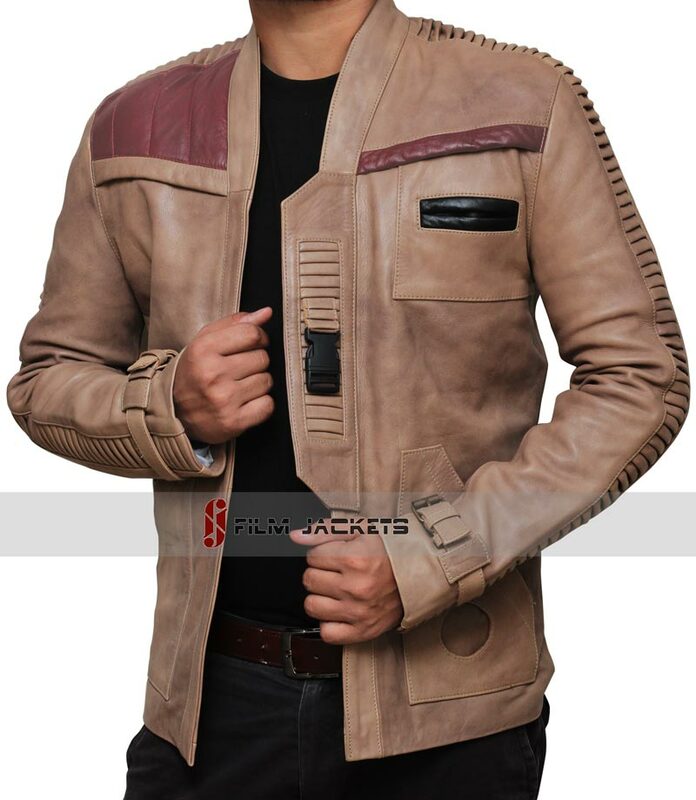 Crush the rebels once and for all in this officially licensed, limited-edition jacket. 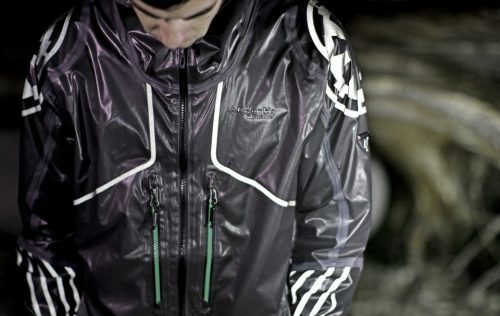 Inspired by the elite squadron’s armor in the new film Rogue One: A Star Wars Story, this waterproof, breathable rain jacket is fully seam sealed and packed with the same features as our award-winning OutDry™ Ex Diamond Shell Jacket, including 2-way underarm venting and Light Rail™ zippered pockets. The reflective Imperial logo shows your allegiance. 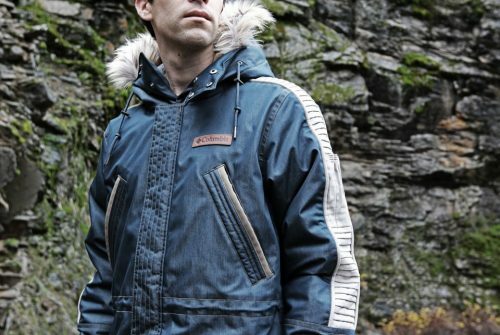 Inspired by the costume worn by Captain Cassian Andor in the new film Rogue One: A Star Wars Story, this officially licensed, limited-edition parka is built to withstand the harshest conditions on an ice planet or here on Earth. The jacket features a faux fur hood, Omni-Heat™ Reflective to trap in warmth, and Omni-Tech™ waterproof material to keep you dry. There is something very memorable about Boba Fett. For a character who had a number of lines in the original trilogy that we can quite literally count on one hand, he left a lasting impression. Maybe it was his demeanor, just standing there, ever silent, gun in hand. It’s very intimidating. Or maybe it was his armor, because, let’s face the facts, it’s pretty awesome looking. Generous wear and tear from all the action Boba has seen. Iconic colors and design. 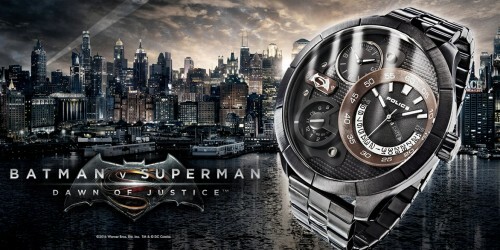 Now, imagine all that, but in the form of a watch. 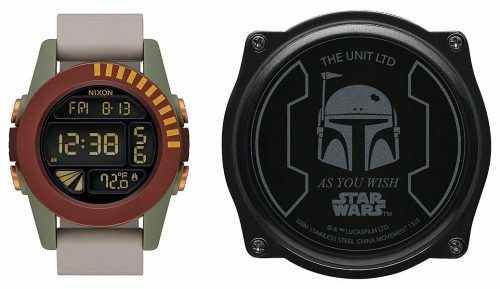 Nixon The Unit Boba Fett watch features a design inspired by one of the galaxy’s most feared bounty hunters. 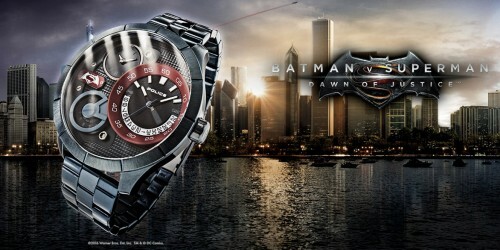 This digital watch features the same colors as Boba Fett’s iconic armor. Knurled pusher and Mandalorian insignia on the side. Helmet and the words “As you wish” inscribed on the back of the watch. Star Wars Shoes? That are character specific? sure, why not! Unknown MSRP, but they look fashionable enough to go incognito without people knowing how big of a Star Wars nerd you are! Congratulations to shoe manufacturer Po-Zu Online Ltd for snagging such a uniquely weird product tie in. 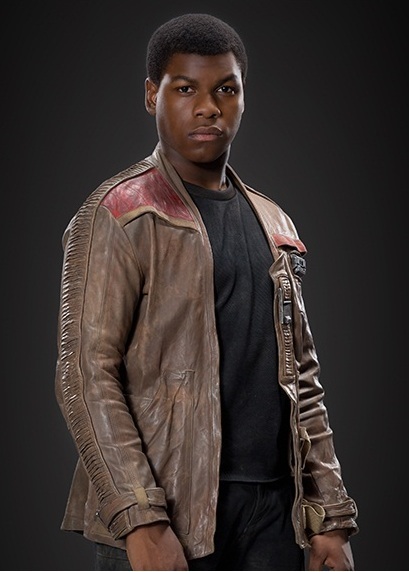 Sure it was a bit weird that Poe just gave Finn the jacket, but as many shippers would tell you, he’s going to be seeing that jacket again, and often!. 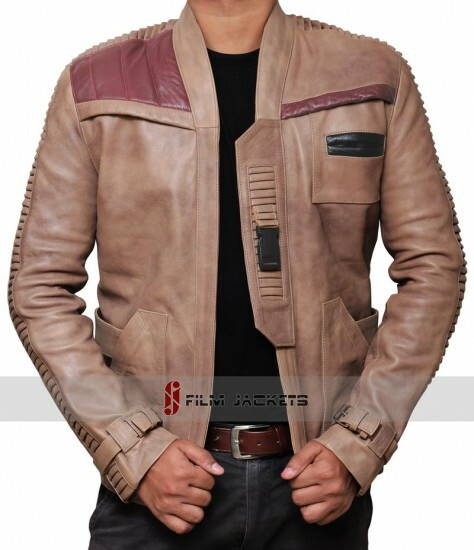 Only $250 for a jacket that kinda sorta looks like a jacket from the worse villian of all the Star Wars films. Offered for the first time ever is the Standard Line version of the STAR WARS™: THE FORCE AWAKENS First Order Stormtrooper Helmet Accessory. 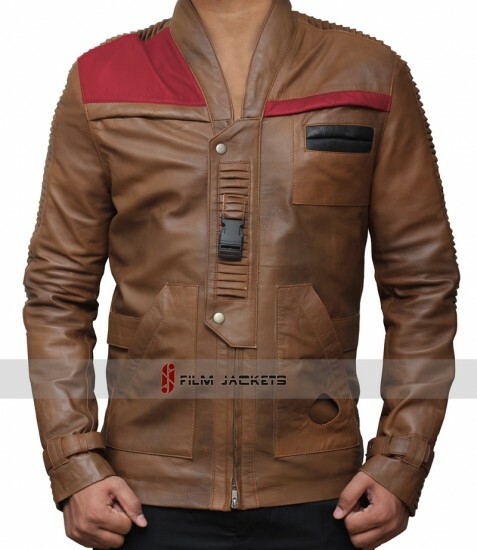 Derived from digital files used in the production of STAR WARS™ EPISODE VII: THE FORCE AWAKENS. Adjustable suspension rig that fits up to a size 8 US hat size. 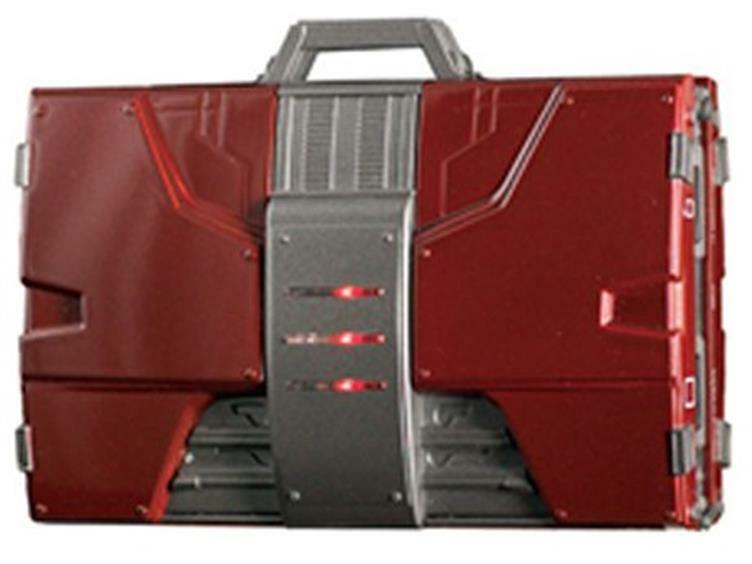 THE eFX IRON MAN MARK V ARMOR SUITCASE FUEL CELL IS NOT JUST A HIGH CAPACITY, SUPPLEMENTAL POWER SOURCE, IT IS AN OFFICIALLY LICENSED, 1/4 SCALE REPLICA OF THE ACTUAL PROP SEEN ON SCREEN AT THE GRAND PRIX DE MONACO RACE TRACK WHERE TONY STARK FIRST ENCOUNTERS HIS NEMESIS, IVAN VANKO (A.K.A. WHIPLASH). THE SUITCASE IS PRODUCED UTILIZING REFERENCE MATERIALS FROM THE MARVEL ARCHIVES, INCLUDING THE ORIGINAL PROP AND 3D DIGITAL FILES TO PRODUCE THIS PROP REPLICA. CHARGE YOUR DEVICE OR USE IT AS THE POWER SOURCE TO POWER YOUR DEVICE ON THE GO, ANY WHERE, ANY TIME. IT IS COMPATIBLE WITH MOST SMARTPHONES, TABLETS & GAME CONSOLES THAT USE A 5V USB INPUT. THIS INCLUDES THE iPHONE (5S AND ALL THE WAY BACK TO THE 3G), iPOD (ALL MODELS), ANDROID SMARTPHONES, BLACKBERRY & MOST PORTABLE GAME CONSOLES. PLEASE CONSULT YOUR INSTRUCTION MANUAL FOR YOUR DEVICE FOR COMPATABILITY. Ah, remember when Iron Man was good? This was one of the many highlights of the best of three Iron Man films (four if you count Avengers! ).